Apple and Aetna are discussing ways to offer discounted Apple Watch models to millions of consumers with Aetna insurance, reports CNBC. Citing people with knowledge of Apple's plans, the site says Apple and Aetna held discussions last week that included senior officials from Apple, Aetna, and several hospitals. Aetna already offers a program that provides the Apple Watch at no cost to its 50,000 employees and subsidizes the cost for some subscribers, but the insurance company is said to be negotiating with Apple to offer a free or discounted Apple Watch to all Aetna members. Apple's Myoung Cha, who has the title "special projects, health," led the discussions, said one of the people. The move by Aetna is part of its push to increase customer interest in a healthier lifestyle and a better tracking of diet, said one of the people. Aetna is said to be aiming to implement some kind of program early in 2018, and its goal seems to be an expansion of plans that were announced back in September. At that time, Aetna said it was planning to subsidize the cost of the Apple Watch for large employers and individual customers. Aetna also said it would develop several iOS health initiatives with "support" from Apple, offering "deeply integrated" health apps for iPhone, iPad, and Apple Watch to Aetna customers. The company's plan to offer discounted or free Apple Watch models to subscribers comes as Apple is on the verge of introducing a third-generation Apple Watch. Rumors suggest the upcoming device features an LTE chip that allows it to be decoupled from the iPhone and there's also a possibility we'll see a redesign. We expect to see the third-generation Apple Watch introduced alongside new iPhones in September. My question is what kind of health data access will they require you to give up in order to get the free Watch. We all know nothing is "free." Why on earth would anyone let an insurance company monitor their health data? This is not going to end well for the consumer. I can understand "discounted" as a marketing effort on Aetna's part, but free always makes me nervous. Free means they see value in the data, will probably demand access to and ownership of the data, and US insurance companies have a track record of trying to find any reason they can to deny coverage. Offered by doctors as part of a health maintenance plan for specific conditions to reduce the number of office visits, I'm on board with. Offered by insurance companies to everyone without an obvious need? I'm skeptical. Nothing is "free". You will pay for it via premium increases. Pretty sure they'll be data mining your activity, or lack thereof, so they can use it in calculating your premiums and/or deductibles. Its a great idea. Since having my watch I'm easily down 20lbs. 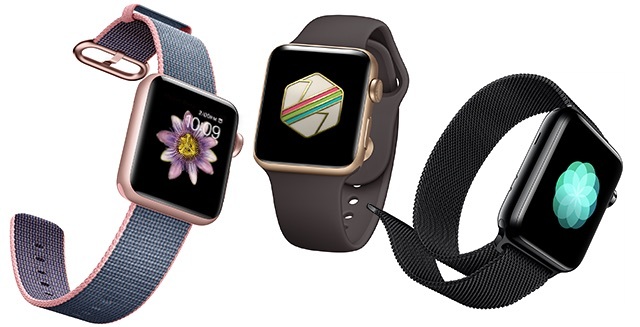 You’re now paying for other people’s Apple Watches in your insurance! Also, have small kids? Have an hobby? Work for long hours? Simply don’t like to go to gym? The hell with you! You’re an unhealthy person! Pay more for your insurance, so people that go to the gym pay less! Do you enjoy going to the gym? Well, better keep going, because you don’t want to pay more for health insurance, do you? Want to rest today? No chance! Or it will be expensive to your wallet. I'm not for weakening privacy, but I don't see what's wrong with unhealthy people paying more for their healthcare and healthy people paying less. Hooray! Too bad Aetna is leaving New Jersey and canceling my insurance. But Hooray! for everyone else!!! My wife's job will give you $100 to fill out a wellness survey. After that they require "wellness" programs. Weight loss program becomes mandatory to fit their weight guidelines. You must quit smoking, etc. I'm all for a healthy lifestyle but I don't want them mandating anything. We opt out of that survey every year. No thanks. I can understand "discounted" as a marketing effort on Aetna's part, but free always makes me nervous. Reasonable. In my case my insurance is from a city that is self insurered and they've been doing all sorts of similar things to focus on prevention as a cost saving measure, with the added side benefit that people are generally healthier in their life.